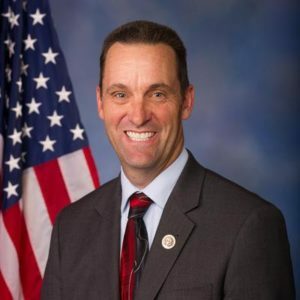 LOS ANGELES – The filing period begins today for the June 5 primary election, with Rep. Steve Knight, R- Palmdale, expected to be the Los Angeles County elected official facing the toughest re-election challenge. Seven Democrats have expressed interest in running against Knight in the 25th Congressional District, including attorney Bryan Caforio, who lost to Knight, 53.1 percent-46.9 percent in the 2016 general election. Two other Democrats announced their candidacies earlier, Katie Hill, the executive director and deputy CEO of the homeless services nonprofit organization PATH, and Jess Phoenix, a geologist. On the county level, Sheriff Jim McDonnell and Assessor Jeffrey Prang are not expected to face tough opposition as they seek second terms. The June 5 ballot will include primaries for governor, seven other statewide offices, four seats on the Board of Equalization, all of California’s 53 congressional seats, 20 of the 40 state Senate seats and all 80 seats in the Assembly. The filing period will close March 9, but will be extended to March 14 for offices where no incumbent files, except for those where the incumbent cannot seek re-election because of term limits. 25 comments for "Candidate filing for June 5 primary begins Monday"
Steve Knight’s biggest accomplishment so far in life? IF (and that’s a big if) this “investigation” that Wrecks and company have launched ever comes up with charges that stick…then Ledford took some payoff from a company that BROUGHT PALMDALE A GREAT SCHOOL. Meanwhile, Wrecks and company corruption brought Lancaster a totally failed “law enforcement tool” and ten million dollars in taxpayer provided payback to his cronies. Then they brought Lancaster a big pot farm, licensed of course to his cronies. And who knows what all Wrecks has doled out at taxpayer expense in between? Rex also charged Raymond Lee Jennings with murder, Randy Floyd and Esmeralda Jorge with crimes, and accused Johnathan Evin of being a gang candidate. On all counts Rex was wrong. If Ledford is guilty, he would have done far less actual damage and taken far less money from the public coffers than the Parris, Visco, Gilley cabal, and actually left the community with something worthwhile. A school is far better than a redundant spy plane. But that’s still an if. Republicans are keeping silent while Trump hands over the next election to Putin, because they know it will benefit them. The have placed party over country. There may be some blindness involved, but it not with Liberals. While you revel in your deplorable fog, you might want to brush up on your Russian. Republicans remain silent while Trump is handing over our next election to Putin because they know it will benefit them. The have chosen party over Country. There may be some blindness here, but it’s not with Liberals. As you revel in your deplorable fog, you might want to brush up on your Russian. Knight lost me when he voted for the tax bill, sending more California money to subsidize red states. Which we’re already doing but now we’ll do it more. Our taxes are high enough here in California to pay for California things. We don’t need to send more to Washington! I love the way Palmdale is thriving! Republican elected officials doing a great job! They could be Democrats doing a great job for Palmdale, but the elected officials are Republican. Just goes to show you, it’s the quality of these people, whether Republican or Democrat. Palmdale is thriving and will continue to thrive as long as they can keep Rex out he has his claws in the backs of both Republicans and Democrats in various areas. Follow the money and follow the actions of these Rex tools and vote their butts out. Wait, his campaign consultant is named REXroad? LOL…”that no amount of money from Nancy Pelosi can buy.” Of course not, since Knight is so deep in the pocket of the national Republican party that he probably has to stop and think to remember what state he is supposed to be representing. When Paul Ryan says “we need some Republicans who are willing to put party first and sell out their districts” Steve Knight doesn’t even jump to get in line…he’s the guy standing next to Ryan holding the clipboard. What is wrong with you, Tim Scott? Find something to do that’s positive in your community instead of your incessant complaining about everyone. You tear everything down. Well, that’s just false. One of the things that has made me so unpopular in certain circles is that I refuse to go along with their “crime is running rampant” nonsense. I’m really unpopular with the Hofbauer sycophants because I think that Ledford has done a terrific job as mayor and that Palmdale has gone very far in the right direction in the past twenty years…and the thirty before that, for that matter. There’s a huge list of things I am very satisfied with. Steve Knight licking the boots of the national party and selling out his district just isn’t one of them. Why should it be? You’re unpopular because you are a do nothing. All you do is post, post, post. you solve nothing because you never go anywhere to do anything to make positive changes. You’re not satisfied with anything, and there you go again trying to destroy an elected politician on nothing more than your twisted reality. The names of the people who post are at the top of the comment so you don’t have to read them if you don’t like a particular username’s comments. Your complaint is more of the same and you don’t even know that. He cant he has a felony. On government aid while living in Mexico. Thats why he can be on Av Times so much spreading his B.S. Government aid while living in Mexico was a start, but you should have included something about incestuous pedophilia and terrorism, as long as you were just making up BS off the top of your head. Then there’s this guy, who complains that I quoted Hitler while ignoring the fact that someone else was following the Hitler strategy that I was pointing out. Guess he doesn’t care what his “team mate” does. Hes an insult to the true AV supporters. He reminds me of someone that defecates in urinals and expects it to flush. Actually, ‘Facts,’ ‘Stop Complaining,’ or whatever name Hofbauer has assigned you for the day, I’m as popular as I want to be. Most people like me, and slimy self promoters like Hofbauer don’t. I’m fine with that. Rex, Hofbauer, Knight, etc. each one worse than the next. Hofbauer is the ultimate leg humper. And you would know plenty about that.